New sacrificial strips fitted to the main and the genoa. Mainsail traveller sheaves have all been replaced. Westerly Yachts were the premiere British yacht builder of the late 70's to the 90's.They were sought after because of the quality of build and the designs. The Westerly Riviera is based on the same hull as the Tempest and Seahawk but offers the benefit of a wheelhouse. She can be helmed from the cockpit or the pilothouse, a big bonus for night passages or bad weather. She is easy to sail as she has inmast furling and a furling genoa all of which can be operated from the cockpit. The accomodation comprises of a large stern cabin with a double berth and an ensuite shower and toilet. The pilot house has ample seating around the captains table which converts into a double berth. The galley is opposite. The forward cabin has a large double berth and another ensuite heads and shower. This yacht is owned by a retired marine engineer. He has recently spent a substantial amount of time and money in upgrading her. She is well looked after and has recently had an engine overhaul and new standing rigging and furling gear has just been fitted. Her navigation equipment has also recently been updated and the cabin lighting upgraded to LEDs. She was relaunched in Spring 2018 having also been primed and anti-fouled. She has a little osmosis but this should not detract from what is a good cruising boat with very few of this model becoming available on the market. 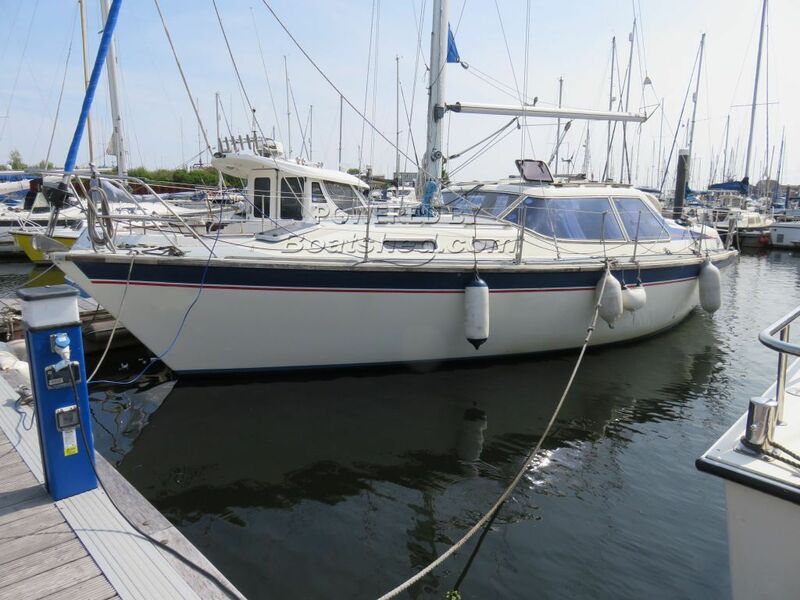 This Westerly Riviera 35 has been personally photographed and viewed by Keith Doust on 07968 375172 of Boatshed Wales. Click here for contact details.